Yes, school has already started in Kentucky. And here is my traditional back to school set. I am still in love with these nice fat letters. 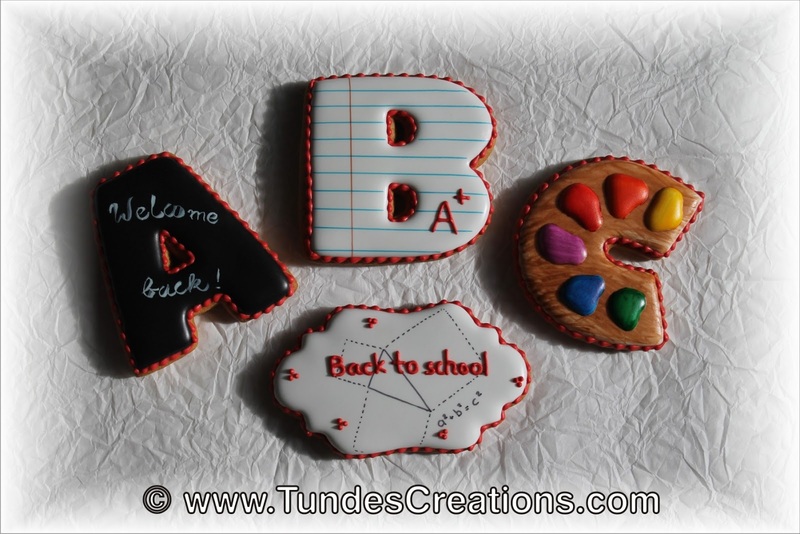 The letter A is my blackboard, I wrote with Americolor white on black flood icing. The letter B became a ruled paper, using extra fine tip edible markers. Letter C is a paint palette. I did not mix all these colors, just painted with airbrush colors. I added a cute plaque shape to this set (we needed some math too, right?) again using the edible marker. To make these cookies look like one set I added a red border to all of them. I wish you all a happy school start!